In August 2013, I went to 7 beaches at the same day in Yogyakarta. It’s sounds great, right? Usually, the most often visited beach in Yogyakarta is Parangtritis Beach. But there are still a lot of more clean and beautiful beaches. There are Indrayanti Beach, Sundak Beach, Siung Beach, Baron Beach, Kukup Beach, Krakal Beach, and Sepanjang Beach. Those beautiful beaches are located in Gunung Kidul, Yogyakarta. The distance is about 70 km from the center of Yogyakarta city, or 2 hours if we go there by car. Although quite far from the center of the city, but I was very satisfied because I could enjoy the beauty of the 7 beaches as well. The distance between one beach to another beach is not far, it’s only about 2 – 10 minutes from one beach to another beach. There’s also a beach that located on the roadside, it’s Sepanjang Beach. 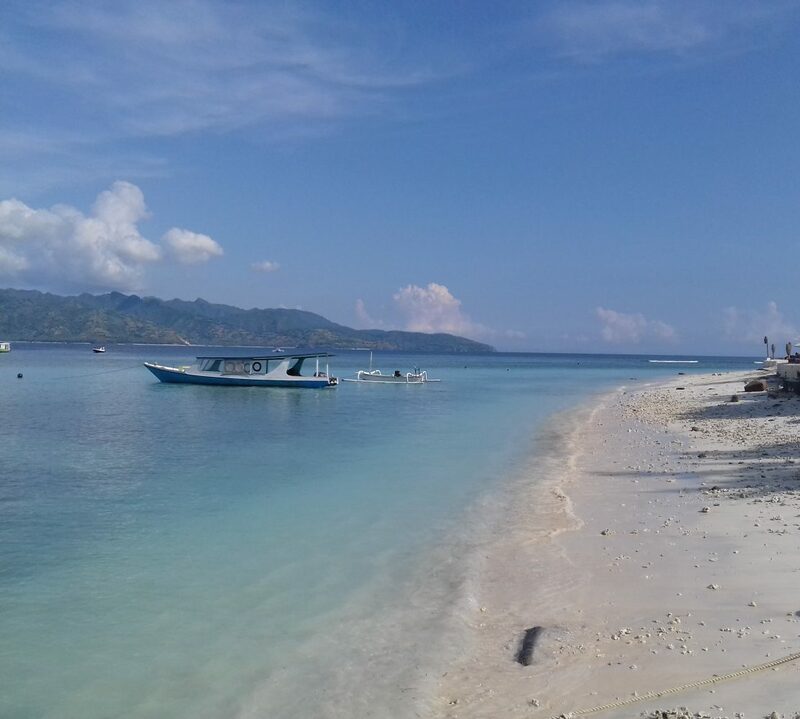 We can park our car in front of Sepanjang Beach and enjoy the beauty of the beach from our car directly. Then, in May 2016, I visited Yogyakarta again. I went to Sundak Beach with my friends for a private camping. It was also 2 hours from Yogyakarta City. We arrived there in the evening. And when we came there, it was raining. Actually we had a plan to build our tent in Kosakora Hill (a hill closed to Sundak Beach). But the road to climb there is dangerous because it was slippery. So we cancelled our plan and built our tent in the seaside. It was cool because we had the beautiful beach scenery in front of us. Unfortunately in the night when we were sleeping, the waves was too big. Our tent got wet in the morning. Actually it was dangerous but we didn’t care. My friend told us about the big waves that happened in the midnight. Most of us were still sleeping. The cost for our holiday was not expensive. Every person only need about IDR 100.000 (USD 8) for 2D/1N trip. It already covered the car gas from our city Semarang (about 140 kilometres from the beach), tent rent cost, lunch cost, and also our snacks (instant noodle, bread, butter, chips, etc). We also had lunch in one of Yogyakarta’s traditional food, named Gudeg Yu Djum. The cost was also included in our IDR 100.000.